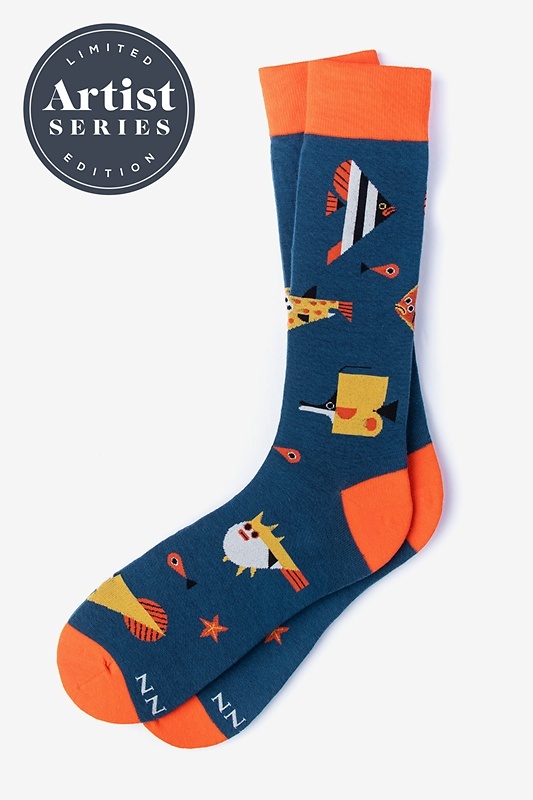 We're taking a dive under the sea with artist Owen Davey's design. 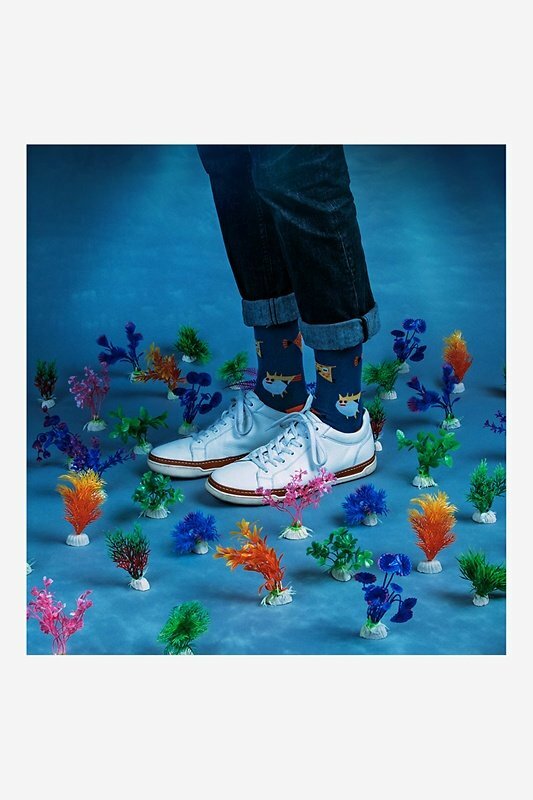 His design features a pattern of the most retro fish you'll ever see, which guarantees fun with ev... read more We're taking a dive under the sea with artist Owen Davey's design. 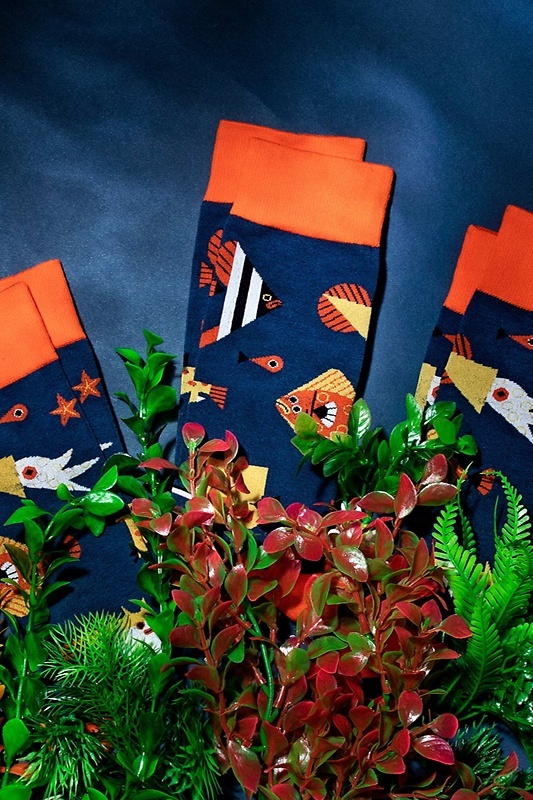 His design features a pattern of the most retro fish you'll ever see, which guarantees fun with ever step (or flip of the tail — whatever you prefer).